How many times have we seen military-themed games circling around the whole concept of weapons of mass destruction? How many Metal Gear games have we finished and run through that aren’t about nuclear weapons? In First Strike, instead of becoming the deterrent, you are the one who has the finger on the trigger in an all-out nuclear war against other nuclear-capable nations. The game basically represents the third world war once the Mexican stand-off between nations has been lifted, and everyone just wants to kill everyone else with their nukes. 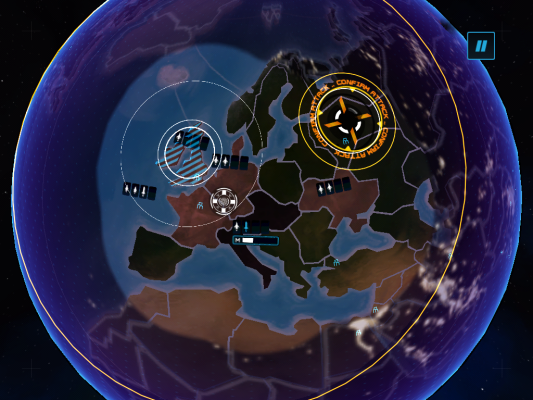 First Strike is essentially a simulation-strategy game where you control a nation with nuclear weapons. Your task is to destroy everyone else and survive their attacks to be the last nation standing. 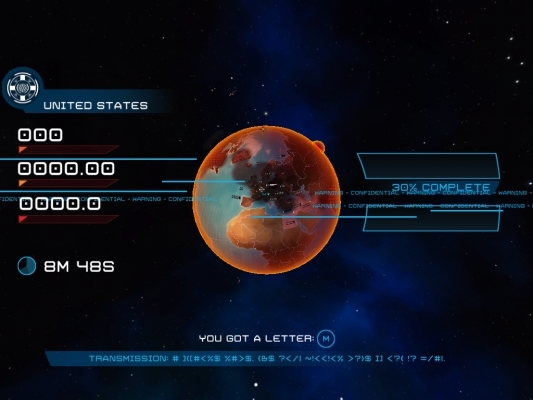 To reach that goal, you need to create missiles that can be launched from different missile bases found (conveniently) on every single country in the world. 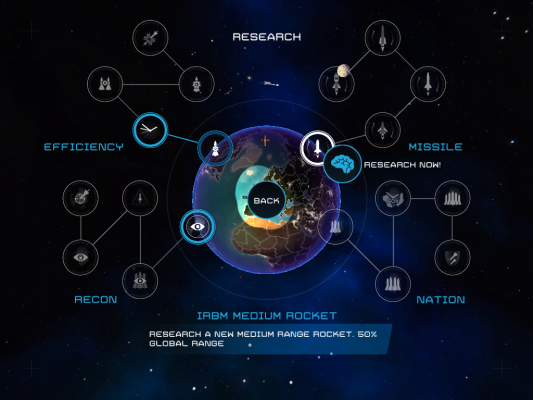 The game allows you to research and create three types of missiles: the cruiser missiles, the Intermediate-ranged ballistic missiles (IRBM), and the Intercontinental Ballistic Missiles (ICBM). 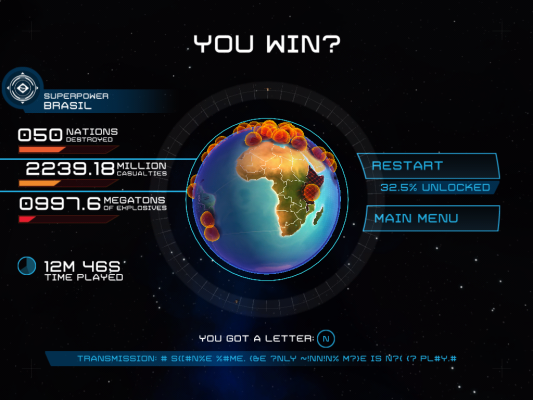 As you start the game you are given a specific amount of missiles, a set of controlled countries, and then you are left to fend for yourself. Depending on the nation you chose, you are either given just one country to control (in Korea’s case) or a handful of them (the rest of the playable nations). You can upgrade the nation’s capabilities through research. 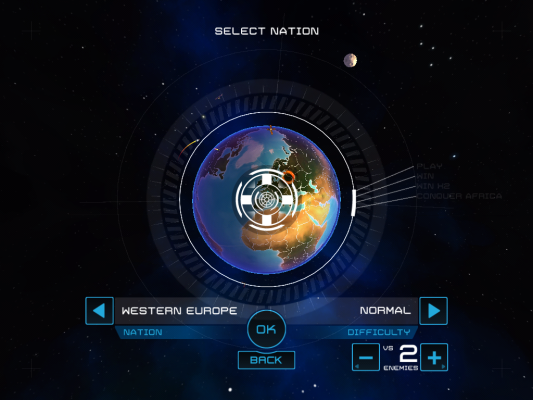 You can also increase the number of countries you control by “expanding” your territory and bringing the target country to your nation. The one hitch First Strike has is that you can only do one thing at a time. 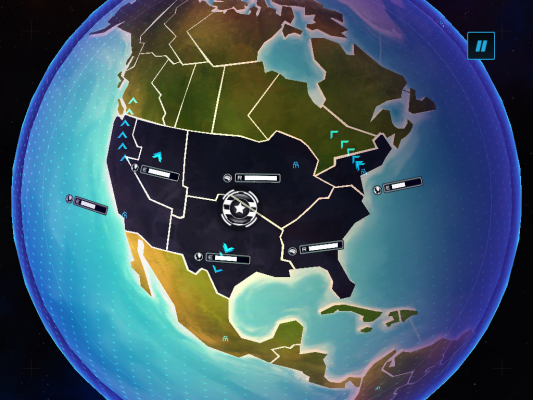 So either you expand, attack, defend, or research on one chosen country or another. This then determines how you play the game and how you challenge the nations in each play through. 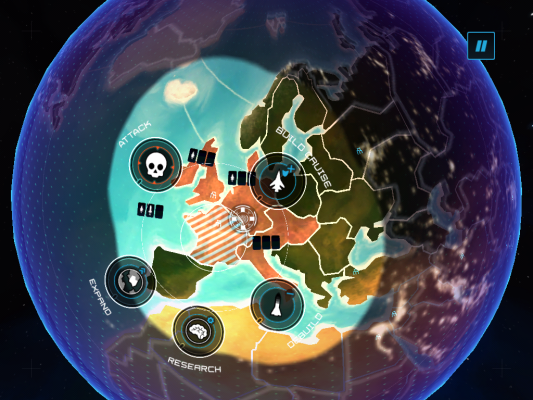 The game also slowly opens up nations that you will face against or use in game. You start off with only the United States, Western Europe, and Korea as your starting nations. As you play through the game you then get to unlock other nations such as India & Pakistan, Brazil, and of course, Russia. The missiles in-game are both your attack and defense mechanic. Cruiser missiles are used to shoot down enemy missiles, while IRBMs have a medium ranged attack. ICBMs, as the name implies, have better and higher range capabilities compared to the IRBMs. 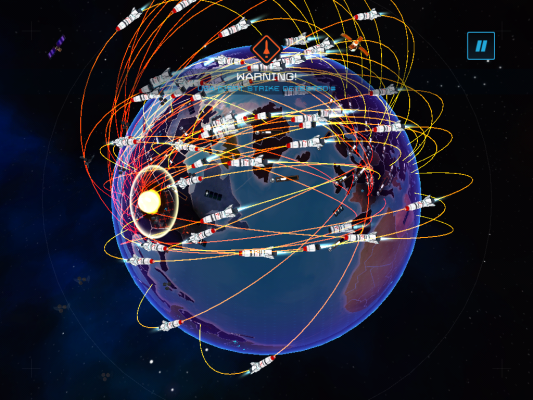 Each country you control will have a max number of missiles that it can create. You can increase the number by researching it, which I will touch on later. The game doesn’t fall over its head explaining how much payloads each missile you send out has. As long as the missile hits its intended target, it does its job and that’s it. The game does put a little emphasis on “enhancing” the capabilities per missile, but that will be explained later. As mentioned, you have only one action available to do per controlled country. You can either attack with four countries or defend with three, or you can just unleash your entire payload and hope that the country you’re targeting won’t be able to hit back. Another “cool” feature aside from attacking and defending is the first strike capability. 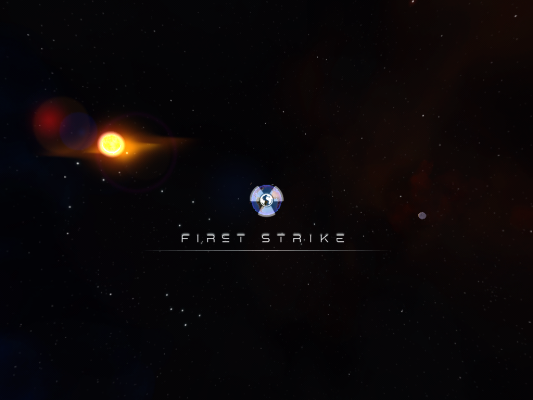 First strike allows you to do one big attack on a targeted location using all your missile bases. As long as the target is in range of the missile, it will be released. This is a risky strategy however, since whenever you do a first strike against an AI player, they will immediately counter attack with their own. That pretty much paints the Mutual Assured Destruction (MAD) scenario real world “experts” have been saying could happen in a simulated perspective. As mentioned earlier, you can improve your nation’s capabilities by researching them in each country you control. The research tree is segregated into four areas which are efficiency, recon, missile, and nation trees. Efficiency focuses on cooldowns, the amount of missiles made, and the overall killing efficiency of the missiles you have. Recon focuses on the global map and its capability to provide necessary information on your enemies. The missile tree, on the other hand, focuses on enabling the missiles you can use and increasing their range. Finally, the nation tree focuses on expanding cooldowns and nation defense. I have to admit that First Strike is a decent sim-strat game. What I didn’t like is that the game was not as challenging as I would’ve liked. I never had a run where I was harassed in the early game and was able to easily amass and increase my nuclear capabilities. I kept playing defensively from the start and just waited till the AIs stopped killing each other. And even then, when I switched to a more offensive strategy, I single-handedly killed off at least two or three nations near me before going toe-to-toe with the most dominating AI in the field. What I liked about it, however, is that it has tons of replayability since you can go back to the nations you’ve previously finished playing (and won with) and face against more nations as you unlock them. It also takes a while to unlock nations since I found the unlocking mechanic pretty inconsistent; but it is interesting enough to unlock more nations you can use. I have to really say that this game would’ve been better if it had multiplayer. It would’ve been more enjoyable going against other human players instead of the AI which would make this a more interesting game to play. 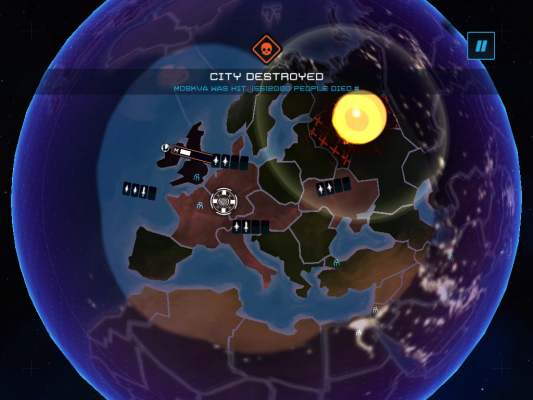 If First Strike aims itself to be a more propaganda tool to push for nuclear disarmament, I think the developers could’ve done better and added more “images,” or at least added a more visual repercussion of the effects of a nuclear strike in countries instead of just posting a number of people killed. If they want to evoke a more horrendous look at nuclear weapons, throwing impersonal statistics which I would never really look into since to me, they’re just numbers. Call me cold-hearted, but that’s how I see it. Overall however, the game isn’t too shabby, and buying would not only give you a good game to spend time on, you’ll also be helping out a cause. Demon Tribe Review: Say Hello to the New Challenger! MMOHuts reviews Demon Tribe, a mobile game by Sega that blends CCG, MOBA, and RPG gameplay, and is available exclusively for the iOS. An original IP of Square Enix's, Grimms Notes is heading to America and Canada through Flero Games for Apple and Android.